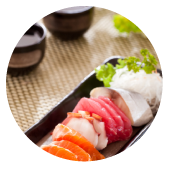 Kumo Hibachi & Sushi possesses all the qualities of a perfect dining experience. Whether you enjoy sushi entree or special roll, we serve mouthwatering meals that will tantalize the most discriminating palates. Kumo Hibachi & Sushi © 2016 | Design by: Sanford Printing Inc.